Discover a new simpler, slower way to beautiful stitch textile art. The pleasures to be had from slowing down can be many, with connections to sustainability, simplicity, reflection, and tuning into traditional and other multicultural textile traditions. Slow Stitch is a much-needed guide to adopting a less-is-more approach, valuing quality over quantity, and bringing a meaningful and thoughtful approach to textile practice. Claire Wellesley-Smith introduces a range of ways in which you can slow your textile work down, including; using simple techniques inspired by traditional practice, reusing and re-inventing materials and limiting your equipment. 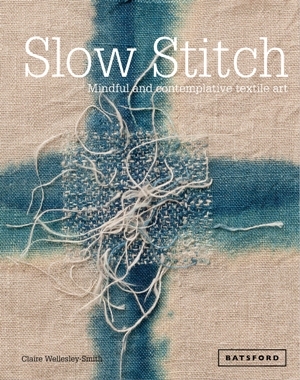 Richly illustrated throughout, and showcasing work from the best textile artists who work in this way, this is a truly inspirational book for those looking to reconnect with their craft and to find a new way of working.